(11 June 1872-28 June 1954). A pastor in Vineland and a leading bishop in the Mennonite Church in Ontario, S. F. Coffman was born near Dale Enterprise, Rockingham County, Virginia, the son of Preacher John S. and Elizabeth J. (Heatwole) Coffman. On November 20 1901 he married Ella Mann (d. 1935) of Elkhart, Indiana. They had five children, all born in Vineland: John, Magdalena, David, Barbara, and Ellen.Samuel spent most of his school years in Elkhart County, Indiana, where his family had moved in 1879. He graduated from the Elkhart High School in 1890, one of the first Mennonite high school graduates in the Middle West. He attended the Moody Bible Institute 1894-1895 and for six months in 1897-1898. From 1890-1894 he worked for the Mennonite Publishing Company in Elkhart. He was converted at meetings held in Elkhart by his father and was baptized on 26 May 1888. He was elected superintendent of the Elkhart Mennonite Sunday school on 28 December 1893. In 1894-1895 he served in the Mennonite Home Mission in Chicago. Here he was ordained to the ministry on 21 April 1895, by John F. Funk of Elkhart; he was ordained bishop in Vineland, Ontario, on 26 September 1903. The following books appeared at Scottdale, Pa.: Church and Sunday School Hymnal Supplement (1911); Life Songs (1916), of which he was co-editor; Church Hymnal (1927); Songs of Cheer for Children (1928); and Life Songs No. 2 (1938), of which he was editor. 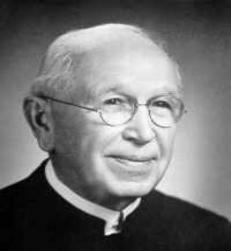 He served as pastor of the Moyer congregation in Vineland from 1903 until he died in 1954, and as bishop of the Niagara District from 1903. He was a charter member of the Nonresistant Relief Organization in Ontario, organized in 1918, and its secretary 1920-1954. In 1918 he was appointed the special correspondent with the Canadian government regarding military service and the immigration of the Russian Mennonites. He was associated with the Canadian Mennonite Board of Colonization 1922-1944 and actively aided the immigration from Russia to Ontario 1922-1925. In his earlier ministry he was widely used in Bible conference and evangelistic work. In 1901 on a commission from the Ontario Conference he organized a number of congregations and ordained ministers and deacons in Alberta. He died in Vineland on 28 June 1954. He was one of the outstanding figures of the Mennonite Church (MC) throughout his more than half-century of service in the ministry, and made an extraordinary and lasting contribution to it, always a man of vision, constructive and peace-loving, widely beloved and highly regarded. To commemorate the first 200 years of Mennonite settlement in this country (1786 – 1986), a bicentennial monument “The Mennonite Bicentennial” was erected on the site of the first Mennonite Church in Canada at Vineland . The monument was designed to unite a number of symbolic elements. The two wheels represent the globe, suggesting Mennonite migration and presence in the world and all creation. the spokes, intersecting to form a cross in the wheels, symbolize diversity, the hub unity; the hand carved roses are for growth of life and love. The wheel rests on four plough shears representing the agricultural traditions of the Mennonites and their commitment to peace. Fieldstones from Canada with places of origin engraved on them symbolize Mennonite unity'. The base includes six hardwood tablets bearing the symbols of Mennonite history. the fire portrays persecution, the dove peace, the Bible represents the story of faith, the square shape of the base symbolizes the directions of the four seasons and the union of the divine. Wonder/have a question? email the Web Master!